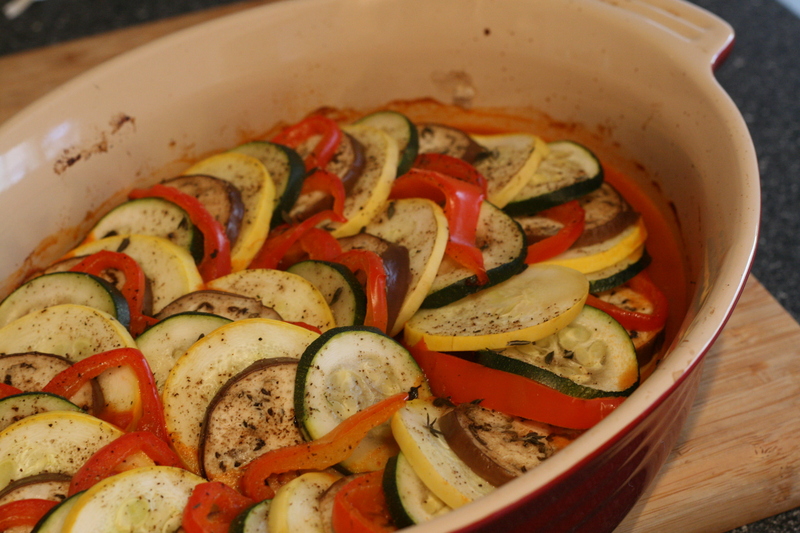 Ratatouille – Carbs & Fiber. I came upon this recipe for ratatouille quite accidentally. Once I saw it, though, I knew I had to make it. 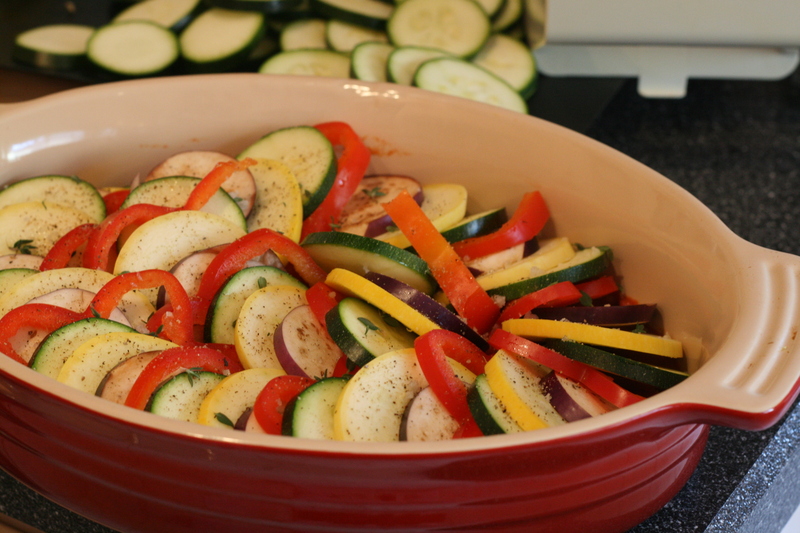 Traditional ratatouille—all chunky—doesn’t really do it for me, I must say. But this version looks so neat and pretty that I had to give it a try. 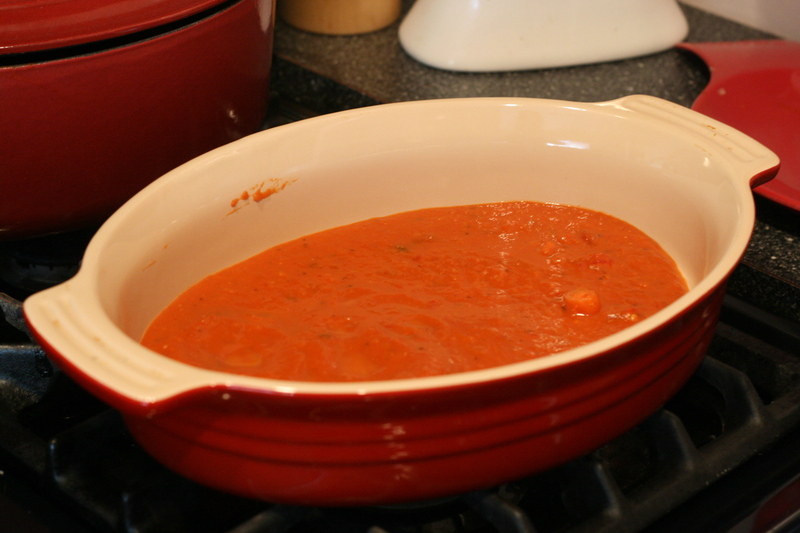 Monday night I made some tomato sauce; I used half of it for a mini-lasagna on Tuesday and the rest for the ratatouille on Wednesday. It made the perfect base for the ratatouille and eliminated the additional steps of dicing and onion and slicing garlic (so labor intensive, as you know). I used our mandoline quite successfully (no cuts!) and arranged the vegetables in an aesthetically pleasing manner. I actually had to make two of these because I got very carried away with the mandoline. This dish took literally moments to throw together, and it certainly looks nice on a dinner table. Highly recommend, particularly if you are serving to impress. Next Hot chocolate ice cream.